Jackie trained with ECBS (European College of Bowen Studies) and continues to be a full member of the BTPA (Bowen Therapy Professional Association) after qualifying in 2006. Each year she undertakes Continual Professional Development as determined by the Association. She considers all aspects of a person's health to promote well-being through self healing. Personal experience gave Jackie great insight into the fine tuning of the human body. As a past gymnast representing Suffolk, spinal wear and tear became problematic, so did low back, shoulder, knee and foot pain. She became misaligned through her body and nothing she tried could straighten her or release the pain, until she found the Bowen Technique. "It was a revelation to feel in control again and free from the pain of the past. This inspired me to learn about Bowen and share its gentle approach with people of all ages." From 1990 Jackie started Healing work both on herself and others. She became a Full Member of Rainbow Star Healing Association. In 2004 she qualified as a Bach Flower Practitioner. "Its energy compliments the Bowen Therapy extremely well. Often long term bodily pain is more than just physical - the mind mirrors through the body. The remedies help people to let go and to move forward in life". Dr Bach's work lives on through his Foundation of healing, recognised throughout the world. 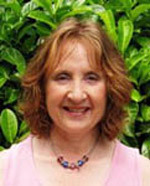 In 2008 Jackie started EFT energy work training to complement her Practice. She became a registered Emotional Freedom Technique Practitioner with AAMET. "This simple tapping process can eliminate bad memories, and thought patterns, replacing them with a new positive outlook. Mind and body become more balanced and energised". In 2001 she qualified with Indian Head Massage and in 2004 Hopi Ear Candling. Jackie works with a 'responsible' company providing non toxic and chemical safe products for personal use, nutrition and homecare. In addition, she sources a Wild Harvested Seaweed (a powerful, nutrient rich food as a multi vitamin and mineral supplement to detox heavy metals and inflammation, providing increased energy and general well being through all the body systems) - "Just another step toward a healthier and happier life". See Links Page for all details regarding these Therapies/Contacts.